I've been meaning to post this for a while now. 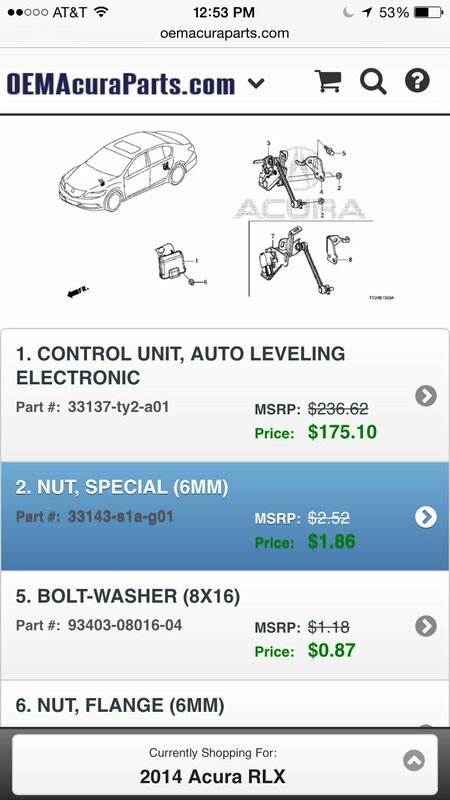 Sometimes I like to browse through the Acura parts site and view all of the components in each of the new Acura models. 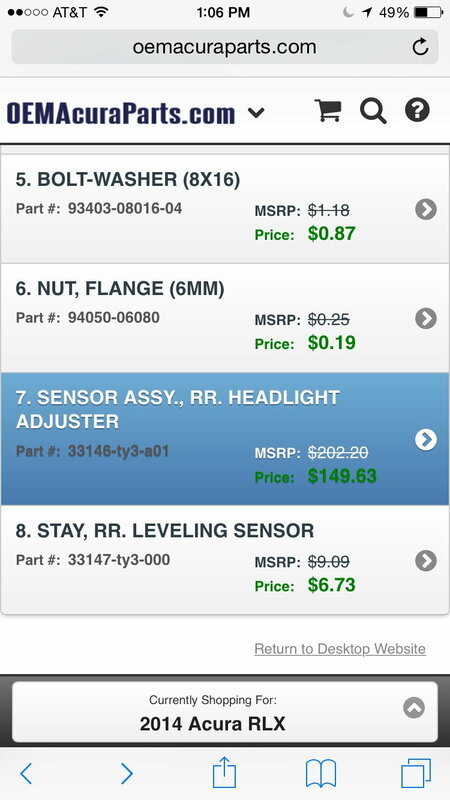 I was browsing through the RLX parts inventory and saw a section labeled "Auto Leveling Control." I clicked on it and lo and behold it had something to do with the headlights. Now, previously I thought that Acura had ditched the AFS in the previous generation RL for the new "fixed" Jewel Eye lenses. One of the components seems to be located towards the rear of the vehicle in the diagram, so could this mean it's some sort of pitch sensor? Perhaps to dictate how high or low the cutoff should be depending on cargo load, steepness of grade, etc. If the Jewel Eye lenses in the RLX are in fact automatically adjusted, I'm surprised Acura wouldnt advertise them as such. Is there anyone here who can clarify what this piece of equipment does? My 2007 MDX Sport has this.....why did it take so long to put in RLX??? Can anyone who owns an RLX confirm this? I doubt it, but for example upon start up most cars equipped with adaptive headlamps will run through a start up procedure where you can visibly see the lenses moving back and forth, up and down etc. I wouldn't bet that the entire array of Jewel Eye lenses has the ability to move, but perhaps there is something going on behind what is visible from the outside? Maybe the diodes themselves move? Another way to test this would be to have the RLX parked in a driveway with the low beams on, pointed at a garage door or some other flat surface. Take note of where the cutoff is and then have a few friends sit in the backseat so that the vehicle squats in the rear. If the cutoff remains in the same place, it is very likely that there is in fact a set of sensors and servo motors working together to maintain the same beam of light! George? Neuronbob? Others? You all seem to be a very knowledgable group of people that can really get into it when it comes to even the most minute details regarding not only the RLX but of course the SH SH-AWD RLX as well. 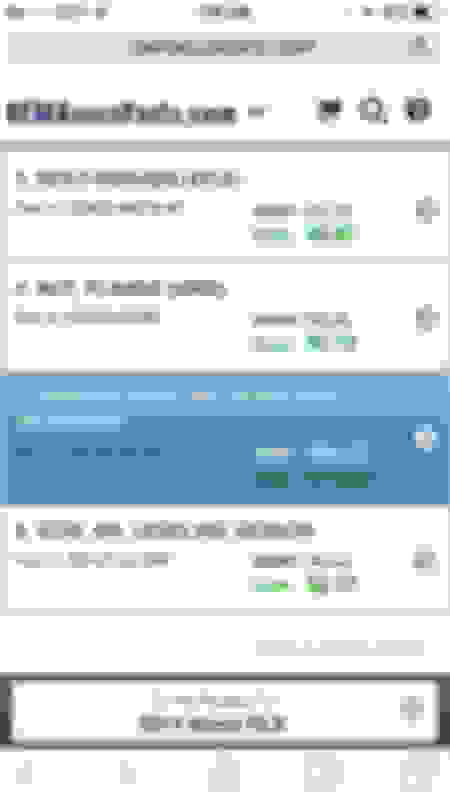 I have truly enjoyed reading all that you guys have had to say over the past few months. thank you for your contributions to this board! I don't think the RLX has self adjusting lights. First I have to believe they would advertise them as a feature. Second I just had my front lights replaced and looking at the parts there was nothing to indicate they move. JMHO. After doing some more research, I found that this "auto leveling control" unit is only found on the USDM RLX, 2nd generation MDX (Advance/Sport trims), and various JDM and Euro spec models of the CR-V and CR-Z (both of which are availible with HID projector headlights outside of the U.S.). In each of the diagrams showing the pieces that make up the system, there are sensors that seem to be strategically mounted on the suspension components on each of the vehicles, including the RLX. Meaning they indeed are measuring the pitch of the vehicle and then sending that information to a central control module. If a seemingly identical system (components looked and named the same) was found on the last gen MDX and Acura advertised on their site that it came equipped with auto leveling headlights on higher trims, then it has to be on the RLX. 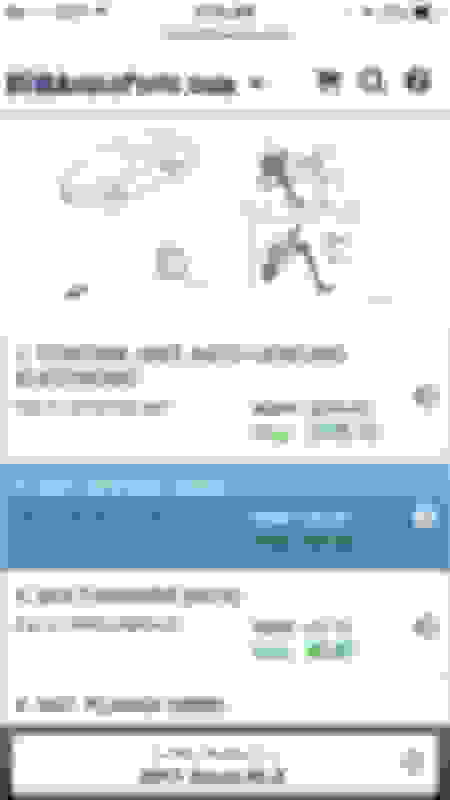 I simply don't see what else it could be. Maybe Acura didn't feel the need to advertise the technology on the RLX since it comes packed with so much other equipment they may have deemed more important to advertise. Or, Acura figured that customers in this segment are beginning to expect this technology to come on the car without question, like heated seats, TFT info screen, sunroof, and auto-dimming mirrors. Funny they advertise your above statement as features but not self leveling??? I looked at Acura web site and the 2016 RLX and MDX don't say nothing about self leveling. I am not saying it does not do it, I just can't find any place that say anything about it or that it a feature. Maybe some of the other pros like George, etc can shed some comments on it. I have a 2016 RLX with the Adv Tech and I can say that the headlights do auto-level. What they do NOT do is the useless start up check where they go up and down every time you start the car (similar to BMW, Mercedes, etc.) I have seen them go up/down when I have been stopped in traffic, go to park in the parking garage at work, and many other situations - in the past few years of owning this car, I will say that it has been VERY uncommon for me to see.